Tesco is to introduce a series of changes across its stores as it aims to “further simplify” the business which will include the closure of counters in 90 stores, a move to self-serve hot food in colleague kitchens, less layout changes and a simpler way of managing stock, impacting an estimated 9,000 jobs. Tesco is to close counters in 90 stores with the remaining 700 trading with either a full or flexible counter offer in favour of online growth. It will be introducing a simpler way of managing stock which will require a reduced workload, with fewer hours needed to complete the routines across its stores. Likewise, Tesco plans to minimise the amount of layout changes it makes. Again, this will result in less work and fewer merchandising hours for workers. 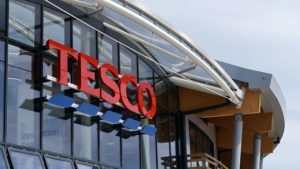 Tesco head office will also see a move to a “simpler and leaner structure, which will allow us to focus on supporting our customers,” said Tesco. One third of Tesco stores currently provide hot food and over the last few years it has been introducing new self-service colleague kitchens which will now replace any remaining hot food counters in Tesco stores. “This change will impact the people working in our colleague rooms, who are employed by third party caterers, and we are working with them to provide as much support as we can,” said Tesco. “In our four years of turnaround we’ve made good progress, but the market is challenging, and we need to continually adapt to remain competitive and respond to how customers want to shop,” explained Tesco CEO, UK & ROI Jason Tarry. Tesco has estimated that up to 9,000 jobs could be impacted. “We’re making changes to our UK stores and head office to simplify what we do and how we do it, so we’re better able to meet the needs of our customers. This will impact some of our colleagues and our commitment is to minimise this as much as possible and support our colleagues throughout,” said Tarry. Tesco’s announcement has sparked outrage amongst Britain and Ireland’s largest union Unite which has called for urgent talks with Tesco bosses, fearing that up to 15,000 jobs could be at stake. “Our top priority this week is to arrange a meeting with Tesco’s management to get a clear picture of what the supermarket is planning, following media reports at the weekend that up to 15,000 jobs could be at risk,” said Unite national officer for retail distribution Adrian Jones. “This is a very worrying time for our members who deliver to Tesco stores across the UK. While the reports centre on job losses in-store, such as at the bakeries and deli counters, we still need to know what this could mean for our members. It also added that there will be no significant changes to Tesco bakeries. “We will be doing all we can to help colleagues affected by these changes, including offering redeployment opportunities wherever possible,” assured Tesco.